Bornean orang-utans are listed as Critically Endangered under the IUCN Red List. They are restricted to the Malaysian states of Sabah and Sarawak, and Indonesian Kalimantan. The number of Bornean orang-utans has declined by more than 50% in the past 60 years, and possibly only about 50’000 individuals remain, in multiple, often small, isolated forest areas across the island. For the Northwest Bornean sub-species, the situation is particularly bleak with only 3’000-4’500 animals estimated to remain, about half of which are found in the Malaysian state of Sarawak. The long-term goal of WCS project is to secure an expansion of Sarawak’s orang-utan protected areas network by 20%, in order to bring the number of orang-utans under protection to about 2’000 individuals (or around 95% of the orang-utans in Sarawak) by the year 2020. The momentum was created in 2015, when the Sarawak Government made a public pledge to stop illegal logging in the State and to move towards a policy of zero losses of orang-utans and their habitats. 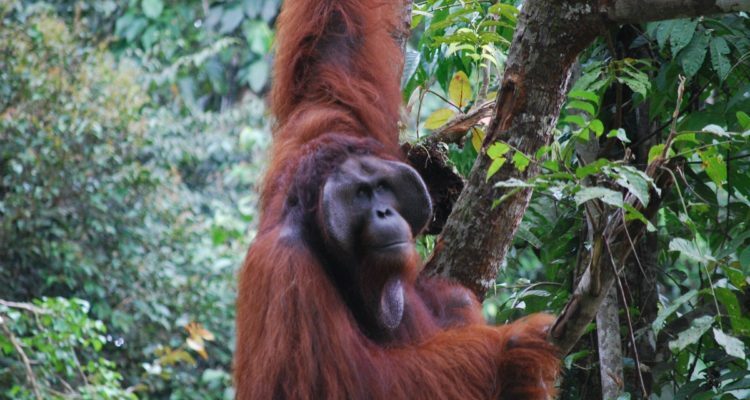 In this framework, Fondation Segré will support the creation of conservation areas, cancellation of logging concessions and other mechanisms, and the identification and assessment of the remaining orang-utan populations outside existing protected areas in order to make an argument for their long-term protection.